Caption: condylactis gigantea 10" in diameter. Tips of tentacles packed with powerful stinging cells. These anemones are home to various shrimps as well as diamond blennies. 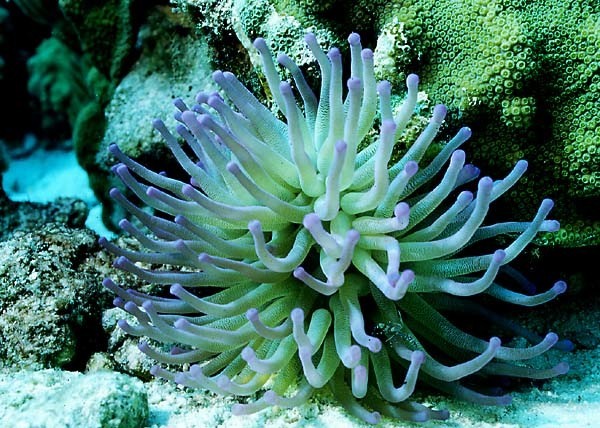 These animals gain protection from predators when they are within the anemone's tentacles yet are able to avoid being stung themselves.